HE Martial DePaul Ikounga is the African Union Commissioner for Human Resources, Science and Technology. He is a member of the Congolese National Assembly and currently the Chairman of the Education, Culture, Science and Technology Commission. 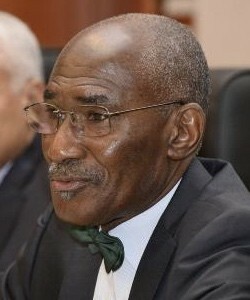 Dr Ikounga served in various positions in the Government of Congo, including as Secretary of State and Minister of Science and Technology, Minister to the Office of the President, Minister of Education, Minister of High and Technical Education, Minister for Reconstruction and National Heritage. Dr Ikounga holds a Doctorate in Engineering and has lectured in General Statistics and Physics. He has also published several articles on these subjects in both French and English.